"They are a really good airline"
Not Verified | Manchester to Muscat. 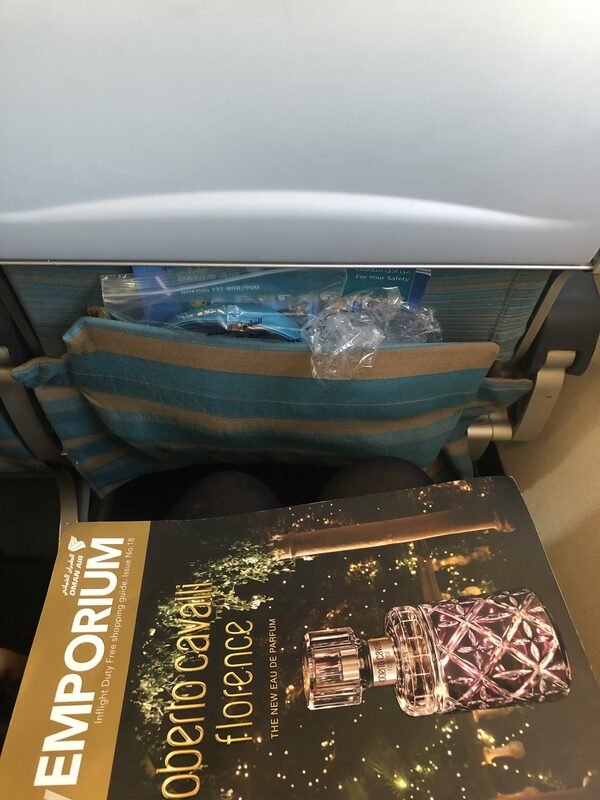 I enjoyed my flight with Oman Air. They are a really good airline. The movie choice is excellent and so is the food. I had a lamb kofta. I found that the landing was hard but nobody is to put to blame seen as the day I landed it was very windy. Oman Air’s safety video is unique because it shows you places around Oman. ✅ Trip Verified | Bangkok to London via Muscat. First leg of flight delayed for 4 hours, with no explanation. Missed our connecting flight to London. The lack of communication from Oman air staff is a absolute joke. Made a complaint over a month ago, and have now spoken to around 40 call centre staff, who keep telling me they can’t transfer calls, and it’s not their department. Which it is. Rude and very unhelpful. Will never use them again. Absolutely no manners or feedback whatsoever. They must have bought that award. ✅ Trip Verified | Kuala Lumpur to Abu Dhabi via Muscat. 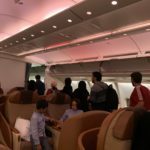 I had an emergency and needed to fly from Malaysia to UAE. I booked my tickets through a third party company last minute and they were not confirmed on time which is not Oman Air's fault. The check in counter staff was really helpful and tried their best to help me. When I was taken to the service counter, the person working was incredibly unhelpful. I wanted to purchase tickets and he could have done so many things to help, like help me book them online or call the company for me. Instead, I stood at the counter and he refused to do anything about it. 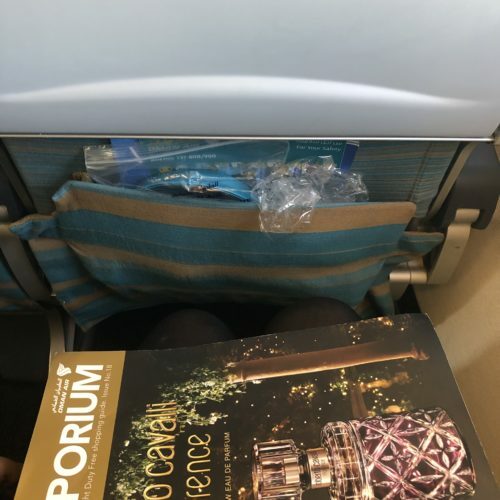 I will not fly with Oman air because I had such an awful experience. ✅ Trip Verified | Milan to Colombo via Muscat. Excellent Business class product. Great Service, food and seats like a small suite. 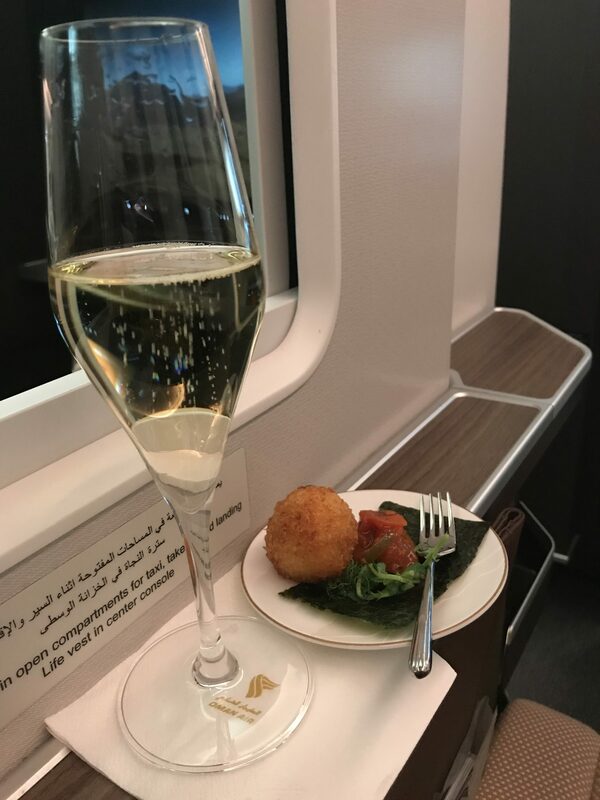 I use to fly on Business class in many other airlines and I would say that Oman Air Business Class is in my top 5 Airlines. ✅ Trip Verified | Islamabad to London via Muscat. It was worst experience ever with this airline. At first, the staff kept us seated for almost 3 hours in a plane which had defective air-conditioning. My two year kid, who has no history of claustrophobia, started panicking to the extreme and the staff still kept telling us to keep him belted to the seat. After that, told us to disembark, made us wait in the waiting lounge for next 3 hours again and then finally informed us on the cancellation of the flight. The staff recollected all boarding passes, essentially leaving us without any proof that we were ever here for the flight. They slowly pulled out their name from all this and cleverly, I must add and left us at the mercy of Pakistan's civil aviation authority. This all happened while we were being told that it is part of hotel reservation. Until, there was no hotel reservation, we were taken out of the airport into the arrival section. While we were asking for help from aviation authority, the staff of airline left on hotel fleets right before our eyes. At the moment, I am here waiting for next flight, which I hope they fulfill, in a cheap hotel. There is no confirmation on our new connecting flights. Hoping for the best here and preparing for the worst as well. ✅ Trip Verified | Dubai to Bangkok via Muscat. 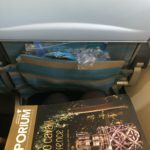 I experienced such a terrible trip with Oman Air. My flight from Muscat to Bangkok was supposed to take off at 10:00 pm to reach Bangkok at 7:00 just the right time to catch my connected flight from Bangkok to Phuket that was supposed to leave at 10;30 to reach Phuket at 12:30, but due to technical problem in Omar Air we had to stay until 2 am and when telling that we have a connected they told us don’t worry pay for it and call our customer care explain to them what happened and they will reimburse the full amount when contacting customer care and emailing them. They responded we had to talk to the customer relation in the airport , while customer relation were the people advising us to contact customer care and to visit our website. That shows the lack of communication the airline has. ✅ Trip Verified | Manila to Munich via Muscat. I was very surprised, that staff give food only twice during a 9 hour flight. They serve us breakfast after take off and than before landing was lunch. After dinner everybody get water and that was all. When I go to staff and ask something to drink they offer me water and sparkling water. Nothing more. Between food was 6 hours and if I didn’t go for water, I was been without drink also 6 hours. Never more! WiFi is overpriced. ✅ Trip Verified | Heathrow to Bangkok via Muscat. Been flying with Oman Air since 2010. I must say each time it has got worse. Service is pretty good. However the toilets are disgusting and have wet floors with soaked tissues. 8 hours from Heathrow to Muscat and no one cleaned up the mess. I have experienced this on many occasions. This used to be my favourite airline. ✅ Trip Verified | Kathmandu to Male via Muscat. It’s my third time traveling with Oman Air and it is one of the best airlines I have travelled. I appreciate all the cabin attendants who have provided us with courteous service today. They were calm and attended every passengers request with smile. 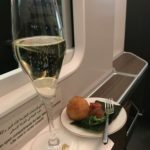 "connection to Dubai already left"
✅ Trip Verified | Jakarta to Dubai via Muscat. The plane was delayed approx. 1h from Jakarta to Oman. 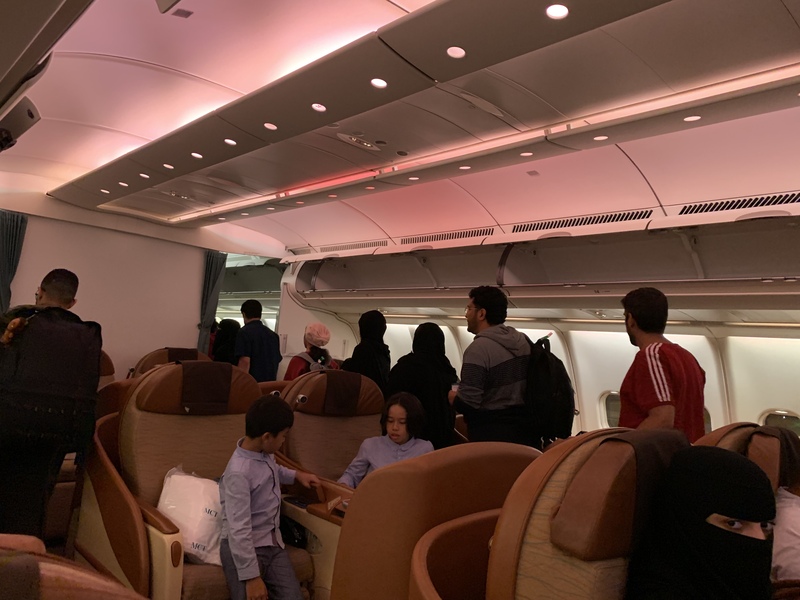 When we arrived in Muscat, still 1h hour before the next leg, we have been told by the ground staff that our connection to Dubai already left. Beside the fact that the boarding was still ongoing, they told us that they put us on the next flight which was approx. 6h later. Things got sour when I had the insolence to ask for a lounge access in order to make my wait more comfortable. I have been told my a rude ground staff, barely looking at my ticket, that I should be happy they put me on the next flight because I already paid for the cheapest ticket. Unbelievable! I missed my connection because of them, I paid for a regular economy ticket. I don't consider too much to ask to have (at least) simple polite refusal. No need to make your customers feel like thief and paid for your poor management. This staff and this airlines is a disgrace of all Middle Eastern airlines I flew with.